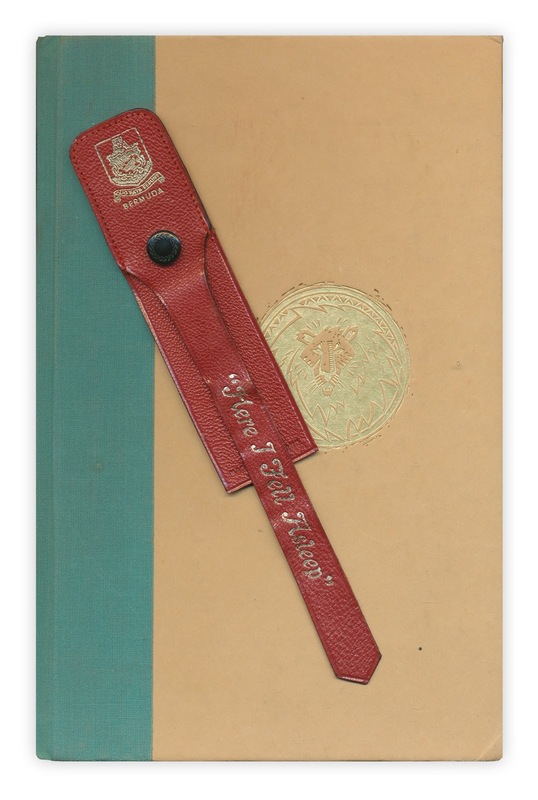 Leather bookmark from Bermuda that reads "Here I Fell Asleep." Found in "The Temple of My Familiar" by Alice Walker. Published by Harcourt Brace, 1989.